Last week, Crytek attempted to put to rest rumours that the company was in trouble. For months, reports had been coming from sources allegedly within Crytek that employees had not been paid for some time, and that around 100 employees actually walked out. While the Crysis creator did not touch on the subject of unpaid staff, a statement was made that explained how the company was going through a transitional phase from a developer to an online publisher and that it needed more capital, which it had secured. Where did the capital come from? Today, it looks like it came from the sale of the Homefront IP, which has just been acquired by Deep Silver and Koch Media. Homefront: The Revolution was in development at Crytek UK, and Deep Silver was co-publishing the first-person shooter along with Crytek. Now the series has been sold to Deep Silver, which has created a new studio, Deep Silver Dambuster Studios, to continue development of The Revolution. Crytek UK was one of the studios where staff were allegedly struggling to get paid, but have since been paid, and it’s where the walk out took place. 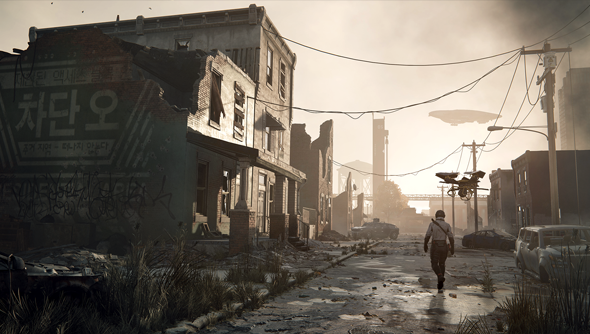 The fate of the studio is currently unknown, after three years of development on Homefront: The Revolution, originally under publisher THQ before it went bankrupt and closed its doors.